We take a look at three of the best organic beauty brands to try in 2014. Beauty enthusiasts everywhere are starting to discover the benefits of using natural organic skincare and make-up products. As well as being completely chemical free and devoid of the synthetic ingredients that can irritate the skin and cause allergies, organic products are thought to help improve the natural health of your skin, leaving it looking brighter and younger. Organic products are also fresher and are kinder to the environment. If you are tempted to dabble with products that take their ingredients as seriously as their efficacy, take a look at these fabulous organic skincare lines that are beauty must-haves for 2014 – going green has never been easier! Brought to you by the gorgeously, fresh-faced supermodel, Miranda Kerr, Kora Organics are a collection of products that complement each other as part of a skincare regime. They contain only the purest, premium-quality, certified organic ingredients, formulated in accordance with Eco-Cert’s and OFC’s strict certification guidelines. Miranda also qualified as a holistic health practitioner in order to launch the brand. Orico London is an award-winning British brand of organic skincare designed especially for skin that faces the everyday effects of city life – pollution, air conditioning, heating and stress. Infused with anti-ageing bioactives and natural aromatherapy scents, these lightweight formulas can protect, cleanse and revitalise. 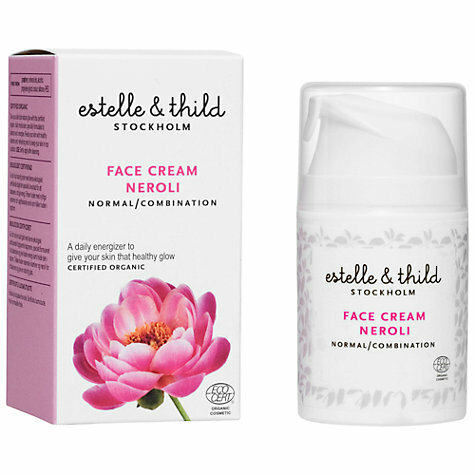 Estelle & Thild is the best-selling certified organic skincare range from Sweden. Each product contains gentle and effective ingredients that can be used on the most sensitive of skin – including vitamin-rich oils and plant extracts that are good for skin vitality. Have you fallen in love with any organic skincare products recently? Or do you have a long-term favourite brand that you swear by? Let us in on your secrets in the comments section below. View and comment on the original Pop Sugar article.